Setting up sound stage for PASOK election rally, a photo by Teacher Dude's BBQ on Flickr. 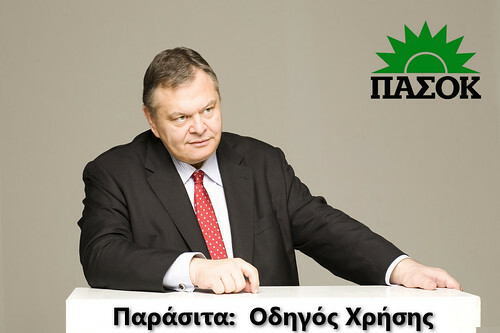 Today at 6pm Evangelos Venizelos, the head of PASOK and till recently the leader of the largest party in the Greek parliament will be addressing voters in the northern port city of Thessaloniki. The picture, taken yesterday shows technicians busily setting up stage inside the port in order to be ready for today's' rally. However, what the photograph really shows is that the current crisis in mainstream politics caused by five years of recession and three years of austerity has overturned nearly every aspect of election campaigning. 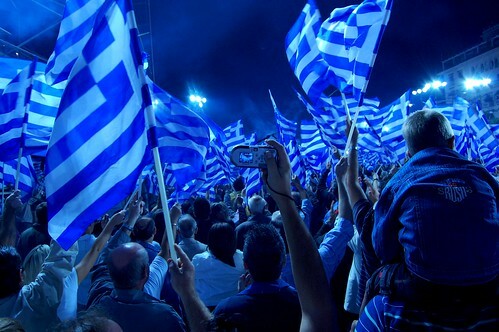 In days gone by any political leader worth their salt would have organised a massive public meeting in Aristotelous Square, an event to which the party faithful from all over Northern Greece would come and for hours would be whipped up into a frenzy in anticipation of the arrival of their leader. 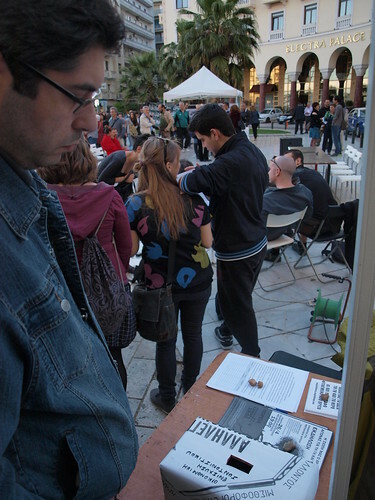 (see photos from 2009 elections here). Even when the leaders were as lacklustre as Giorgos Papandreou and Kostas Karamanlis, the party supporters could be relied upon to put on a good show for the TV camera in the hope of swaying voters at home.But no longer. 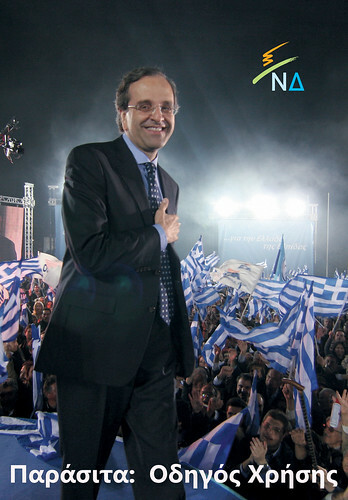 The two largest parties, PASOK and New Democracy cannot rely upon, or even completely trust their own voters. Over the last two years the numbers of attacks on politicians appearing on public have risen exponentially and although most involve little more than jeering and the throwing of yogurt others have turned much more violent. However, even worse than the possibility of violence is the damaging PR effect of TV images showing a candidates in front of hostile audience. With the parties limited to using TV and internet to get their pre-election message across, preserving the fiction that they still enjoy mass support becomes even more important. Hence the choice of venue shown in the picture. It allows police and party media handlers to carefully control access and it's position far from the Thessaloniki's main streets means that protesters can be kept of sight and earshot. Also the narrow space (it's the jetty pointing out to sea in Google Maps shot above) means that even a few hundred people can be, with the right angles and lenses be made to look like an adoring crowd. Also since it is outdoors Venizelos can claim (at least on TV) that he is still popular enough to appear in public. What viewers will not see will the thousands of police on duty making sure that Venizelos can appear unmolested outdoors. Claiming to represent the will of the people whilst hiding behind rows of baton wielding riot police is not the carefully honed media message PASOK wants to send to voters on the eve of such an important vote. Protesting against mining corporation's destruction of their local area, a photo by Teacher Dude's BBQ on Flickr. Meeting in support of the residents of Skouries fight against Eldorado mining corporation. 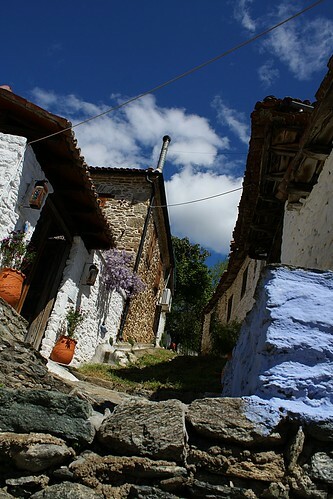 Greece, a photo by Teacher Dude's BBQ on Flickr. 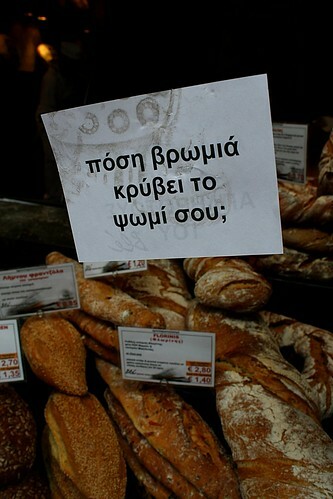 The new Greek economy captured in one image, a photo by Teacher Dude's BBQ on Flickr. It's not a great photograph but its sole virtue is that its tells a story, and so illustrates so much of what is happening in Greece today and for that reason I posted it. In it are all the elements of a new emerging economy that has been foisted upon Greece in the name of financial salvation. In the foreground is the child begger, no more than 11, I'd venture, his Fagin like "handler" (How Dickens serves us in times of need) just off frame at the entrance of the Ble patisserie. Ble, which serves high end baked goods at the kind of prices that even new Yorkers/Parisians might balk at is, itself a perfect example of how the economy is going. Inside the employees haven't been paid for months and yet remain working, as they know giving up a job there means certain unemployment, a fact the supervisor hovering in the background is no doubt aware of. 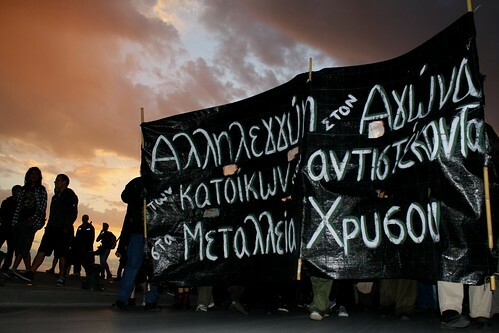 300 euro per month wages, total absence of labour protection laws and rampant poverty are the fate that awaits other southern European economies adopting the kind of austerity measures that Greece has implemented in the last three years. 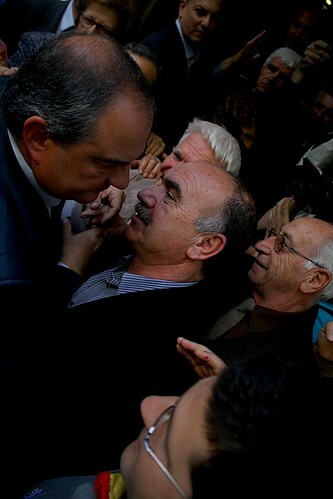 Karamanlis addresses party faithful, a photo by Teacher Dude's BBQ on Flickr. In years gone by the visit by a party heavy weight such as ex-prime minister, Kostas Karamanlis would have involved New Democracy pulling out all the stops. 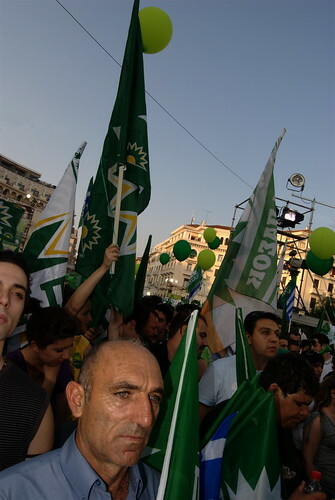 It would have meant saturation media coverage, large public rallies and the kind of reception usually reserved for old school rock stars.Instead Karamanlis was met by just 100-150 of the party faithful outside a non-descript apartment block in the centre of Greece's second largest city, Thessaloniki. Neither PASOK nor New Democracy candidates can appear at outdoor venues for fear of the whole event turning into a PR debacle as angry voters jeer and pelt them with yoghurt on live TV. It's a measure of how different the political landscape has become that even those figures who were revered and worshipped just a few years ago count for nothing in the run up to the 6th May general election. Five years of recession, a failing economy and plummeting employment prospects have weakened the appeal of both PASOK and New Democracy for voters. 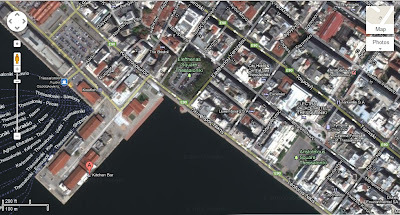 On Sunday, the head of the rival PASOK party, Evenagelos Venizelos will come to Thessaloniki, however, instead of choosing the central Aristotelis Square for his speech he has decided to speak at the harbour, a more defensible position and then only to carefully selected party cadres. 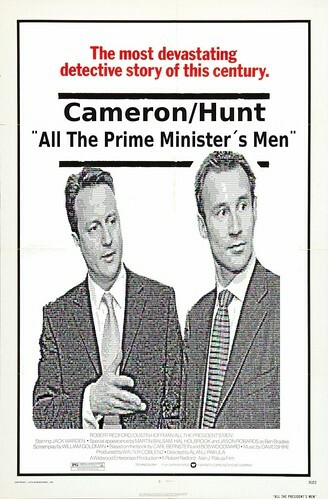 All The Prime Minister's Men - Film Poster, a photo by Teacher Dude's BBQ on Flickr. David Cameron is looking more and more like Nixon as the days pass and the flood of damaging revelations about his connections with media mogul Rupert Murdoch continue to surface. 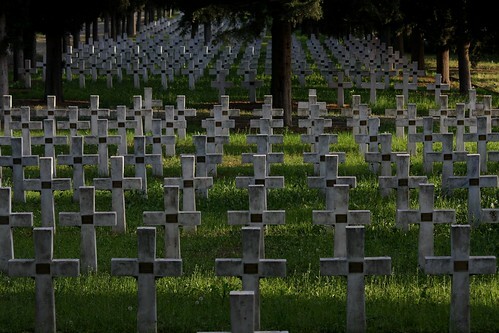 Remembering the dead - WWI cemetery - Thessaloniki, Greece, a photo by Teacher Dude's BBQ on Flickr. Some of my best friends are common folk.David Cameron keeps it real. 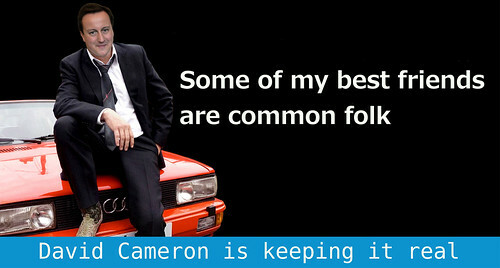 Some of my best friends are common folk.David Cameron keeps it real., a photo by Teacher Dude's BBQ on Flickr. Or Far From the Madding Crowd as perhaps the elections should be named, considering the fact that few, if any of the members of the coalition government are able to campaign in public. Instead of the mass rallies that usually mark elections in Greece, both PASOK and New Democracy politicians have been careful to hold meetings behind closed doors with just the party faithful present. With just two weeks to go the national election campaign has been so low key as to be considered to be virtually non-existent,. No election centres have been set up and campaign billboards and handouts are nowhere to be seen. This is partly a financial matter as the two main parties owe 240 million euros and only last week did they manage to pass legislation to reschedule their debts (a privilege they ruled out for lesser mortals, or voters as they are know locally).Instead of a country plastered in posters and drowning in flyers PASOK and New Democracy have reserved their efforts for TV talk shows and the internet. Both choices are problematic; TV has been shedding viewers for years, especially among the young and more educated and social media is not a comfortable environment for politicians unused to debating with voters except on their own terms. Indeed their ham fisted attempts to replicate traditional electoral methods online have been met with derision and biting humour by Greek language bloggers and Twitter users. However, even more troublesome than lack of funds is the growing realisation that parties that took part in the various coalitions in the last year are now unable to talk directly to voters.Public anger with the government and the political system in general has reached such a pitch that even their presence provokes angry, sometimes violent reaction from the electorate. Rising unemployment, an endless series of tax hikes and a collapsing economy have all helped generate a level of disgust with public figures unprecedented in modern Greek political history. The tipping point proved to be last 28th October when people attending the annual military parade in the northern port city of Thessaloniki closed roads and jeered the country's president, forcing him and other present in the VIP stands to flee. Ever since then politicians have done their best to avoid making public appearances whenever possible. The only exception being the 25th March Independence parade in Athens but only after presence of nearly 10,000 police officers ensured that no possible public protest was possible. For the first time in a generation there is a real possibility that neither PASOK nor New Democracy will be in a position to rule, either alone or even in coalition, if recent polls are to be believed. Even with gift of 50 extra seats that the constitution gives to the party with the most votes, PASOK and New Democracy may be forced to seek other coalition partners. Even turnout is low then their rump support may be enough to win the day, however, if people decide to vote in greater numbers in order to punish ruling politicians as many as 10 parties will be entering parliament. Given the the unpopularity of the current austerity measures any party that signs up to enforce yet more of them is flirting with backbench revolt and voter backlash. The falling poll figures for PASOK, New Democracy and the far right LAOS party are testament to that. Given the fractured ideological natures of the new parties( which may include members of the neo-Nazi Golden Dawn) and the lack of support for austerity the most likely outcome is a series of elections which, given the commitment of the previous government to cut wages and pensions while raising new taxes in June likely to diminish the power of both Evangelos Venizelos and Antonis Samaras, both of whom are faced with the prospect of leadership challenges from disgruntled backbencher unhappy with their parties' choices and anxious to rid themselves of those associated with deeply unpopular policies. 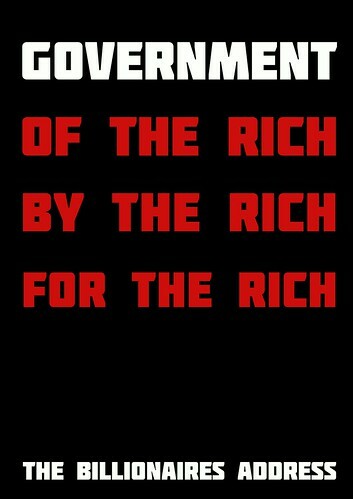 The Billionaires Address - Government of the rich, by the rich, for the rich, a photo by Teacher Dude's BBQ on Flickr. 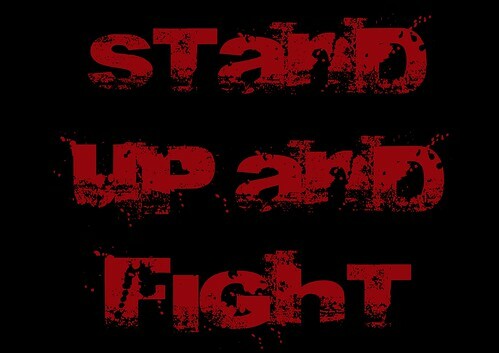 Stand up and fight, a photo by Teacher Dude's BBQ on Flickr. 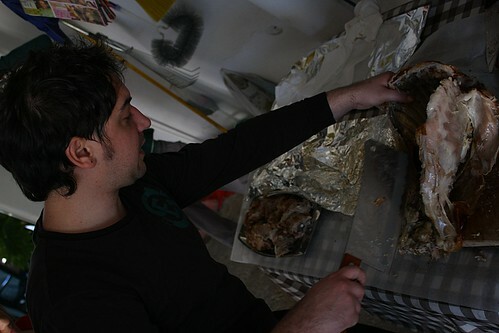 Easter dinner - carving lamb just off the spit. 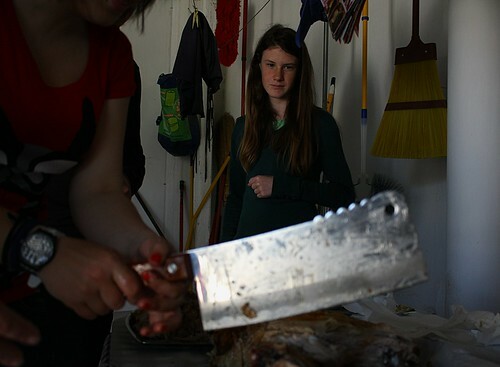 Easter dinner - carving lamb just off the spit., a photo by Teacher Dude's BBQ on Flickr. Believe me, it was all delicious. 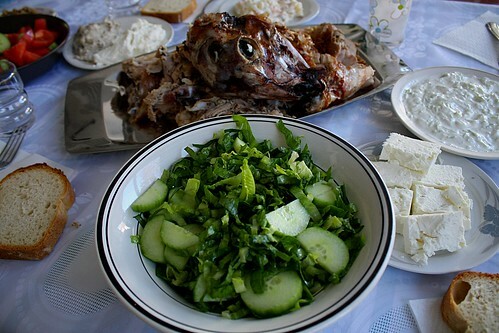 Easter in Greece, a photo by Teacher Dude's BBQ on Flickr. 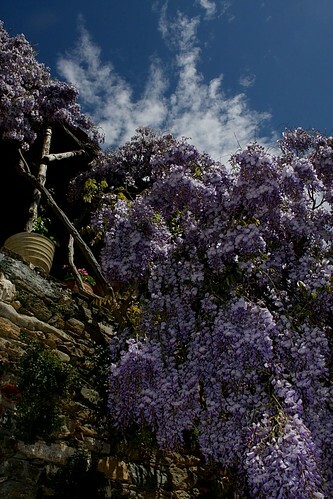 Spring in Greece, a photo by Teacher Dude's BBQ on Flickr. 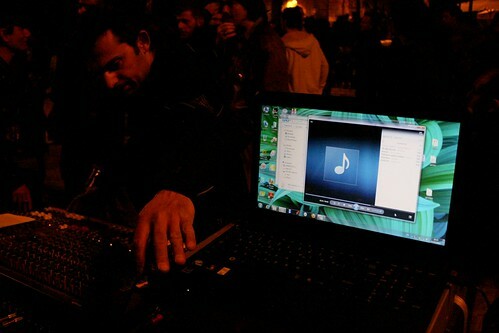 Good Friday - Thessaloniki, Greece, a photo by Teacher Dude's BBQ on Flickr. 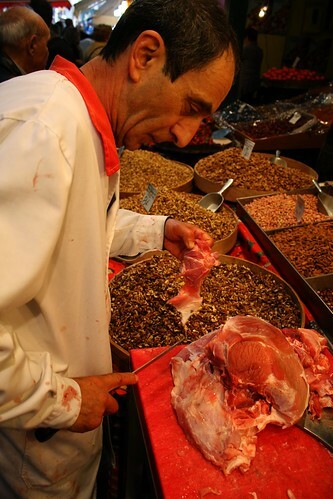 Shopping for Easter - Thessaloniki, greece, a photo by Teacher Dude's BBQ on Flickr. Νέα Δημοκρατία - Παράσιτα: Οδηγός Χρήσης / New Democracy - Parasites: A user's guide, a photo by Teacher Dude's BBQ on Flickr. 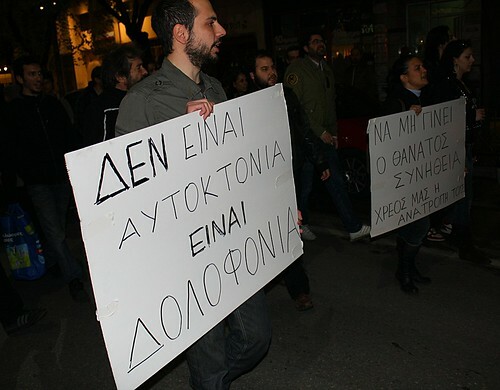 Greek photojournalists protest police violence - Thessaloniki, Greece, a photo by Teacher Dude's BBQ on Flickr. "Reporters Without Borders roundly condemns a new wave of deliberate attacks on reporters and photographers in Athens and calls on the security forces to immediately identify those persons within their ranks who were responsible. “The respite was short,” Reporters Without Borders said. “The riot police, who were criticized after the abuses of last summer and autumn, seem to have recovered their repressive instincts. The deliberate nature of the latest attacks leaves no doubt about this. “In particular, Marios Lolos, a very well-known media figure, was clearly targeted during a peaceful demonstration while in a group of clearly identified journalists. Did they want to punish him for his union activities? Are they trying to intimidate all the media as Greece’s social revolt continues to grow? This unacceptable behaviour must be fully investigated and the police officers responsible for assaulting journalists must be severely punished." 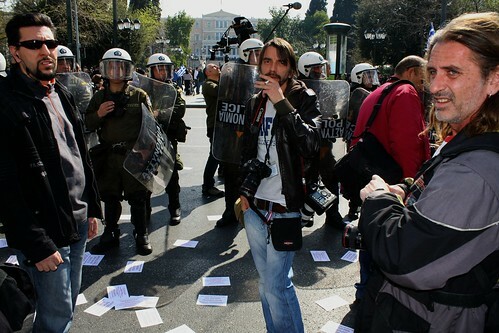 Greek photojournalists protest police violence - This guy took time outto defend the police's actions. 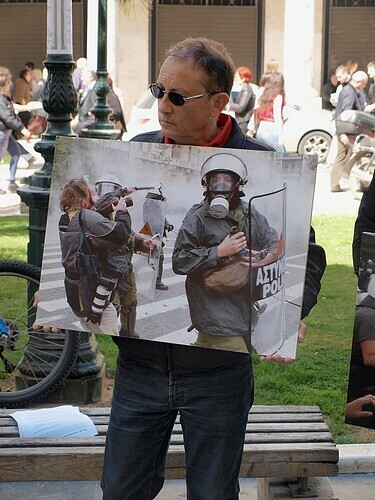 Greek photojournalists protest police violence - This guy took time out to defend the police's actions., a photo by Teacher Dude's BBQ on Flickr. 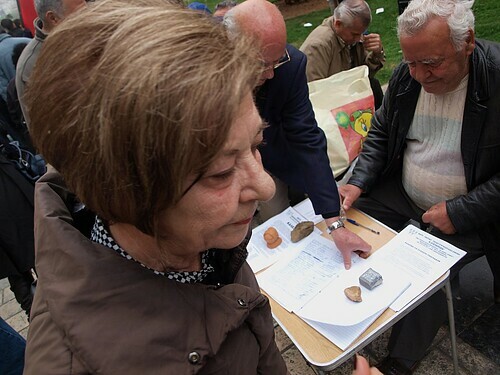 Greek pensioners demanding return of billions squirrelled away by country's oligarchs in Swiss banks, a photo by Teacher Dude's BBQ on Flickr. Yet another Greek photojournalist hospitalised by riot police in Athens, a photo by Teacher Dude's BBQ on Flickr. Marios Lolos (far right in the photograph taken on 25th March), president of the union of Greek photojournalists is currently being treated for serious head injuries in the Central clinic in Athens after being attacked by riot police units in Syntagma Square, Athens during protests following the suicide of a 77 year old man yesterday outside the Greek parliament. Lolos will undergo surgery for his injuries tomorrow. Κρίσιμη χαρακτηρίζεται η κατάσταση του προέδρου της Ένωση Φωτορεπόρτερ Ελλάδος, Μάριου Λώλου, που νοσηλεύεται με βαριά κρανιοεγκεφαλική κάκωση στην Κεντρική Κλινική Αθηνών, μετά από χτύπημα που δέχτηκε στο κεφάλι από αστυνομικό, κατά την διάρκεια επέμβασης της αστυνομίας στο Σύνταγμα. Ο τραυματισμένος άνδρας μεταφέρθηκε στην Κεντρική Κλινική Αθηνών, και αφού του παρασχέθηκαν οι πρώτες βοήθειες, κρίθηκε αναγκαία η παραμονή του στο νοσοκομείο. 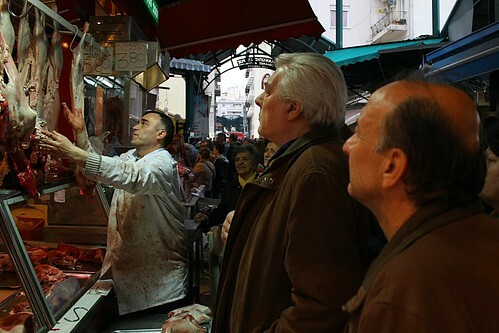 Greece unveils new pension plan, a photo by Teacher Dude's BBQ on Flickr. This plan comes with the full approval of the EU, ECB and IMF. Austerity works. Ask the experts. 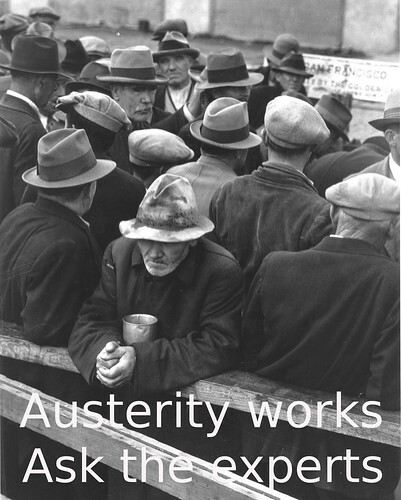 Austerity works. Ask the experts., a photo by Teacher Dude's BBQ on Flickr. 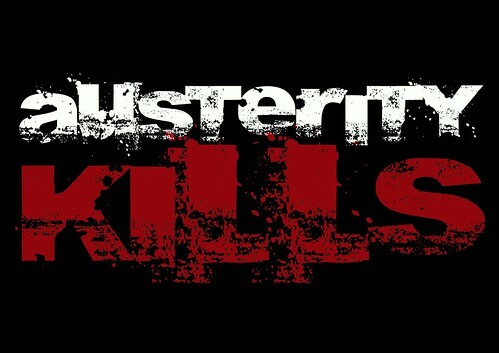 AUSTERITY KILLS, a photo by Teacher Dude's BBQ on Flickr. "It wasn't suicide, it was murder" - marchers remember 77 year oldpensioner who took his own life this morning. 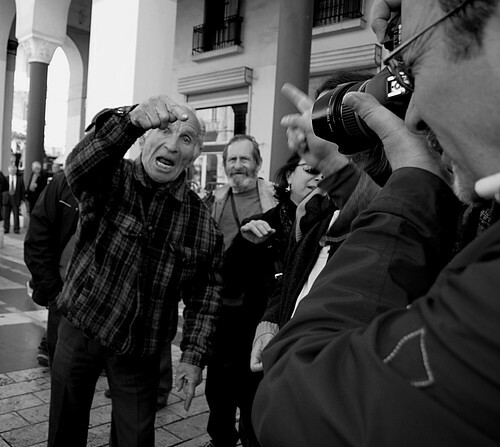 "It wasn't suicide, it was murder" - marchers remember 77 year old pensioner who took his own life this morning., a photo by Teacher Dude's BBQ on Flickr. "An elderly man who took his life outside the Greek parliament in Athens , in apparent desperation over his debts, has highlighted the human cost of an economic crisis that has not only brought the country to the brink financially, but also seen suicides soar. 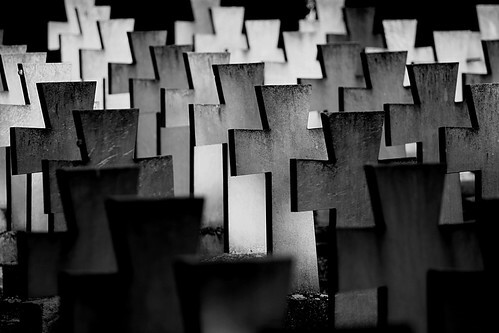 As Greeks digested the news, with politicians clearly as shocked as society at large, mourners made their way to Syntagma square, where the retired pharmacist shot himself with a handgun." 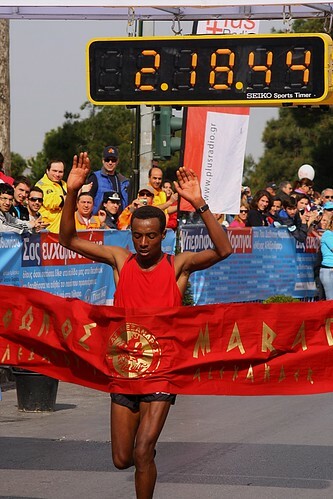 Teklu Geto Metaferia from Ethiopia placing first, finishing the 42.195kilometer course in 2 hours, 18 minutes and 44 seconds. Teklu Geto Metaferia from Ethiopia placing first, finishing the 42.195 kilometer course in 2 hours, 18 minutes and 44 seconds., a photo by Teacher Dude's BBQ on Flickr. How much dirt is hidden in your bread? Πόση βρωμιά κρύβει το ψωμί σου;, a photo by Teacher Dude's BBQ on Flickr. They are among the 400,000 + Greek workers who are owed at least one month's salary. With unemployment skyrocketing many unscrupulous businesses are using the crisis to avoid paying wages for months on end. San Papiers concert - Thessaloniki, Greece, a photo by Teacher Dude's BBQ on Flickr. An attempt to counteract the rising tide of racism being whipped up by Greek governing parties and their allies in the mainstream media ahead of national elections.